Violent protests erupted in China on Friday after nearly 150 children received expired polio vaccines. Parents say that this is just one example of a rampant vaccine scandal revolving around the Chinese pharmaceutical industry. Officials say that they are launching an investigation and that this latest incident shows “negligence and supervision failure” on behalf of local officials. Reuters reports that 17 officials have been disciplined so far. This is just the latest event in which defective or expired Chinese vaccines have been administered to children as young as 3 months old, who have suffered injuries including fever, vomiting, severe skin rashes, and even death. Due to poor safety testing, officials say they cannot determine if the vaccines are responsible for these reactions. Much of the scandal has centered around Changsheng Bio-tech, one of the major vaccine manufacturers in China. The company was fined after watchdogs discovered Changsheng had produced 252,600 DPT (diphtheria, tetanus, and pertussis) vaccines that did not meet potency standards. 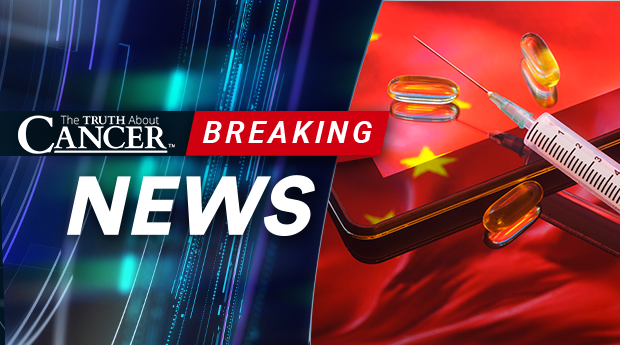 According to a 2018 report by CNBC, Chinese regulators found that the pharmaceutical company had “arbitrarily made up and changed manufacturing and inspection records” regarding the vaccine, which was administered to hundreds of thousands of young children. They also fabricated inspection reports for over 100,000 rabies vaccines. They were forced to pay over $1 billion in penalties and their manufacturing license was revoked. The New York Times reported that Wuhan Institute of Biological Products, a state-run pharmaceutical manufacturer, is said to have produced over 400,000 vaccines that did not meet standards. Wuhan was required to pay a fine. The protests on Friday were not the first public demonstration against vaccine manufacturers and public health officials. The DPT scandal led to protests in Beijing last July. And while protests and public demonstrations have become common in America, they are an unusual sight in China, where the ruling Communist Party of China (CPC) actively censors media coverage and social media regarding vaccine safety and other state issues. During Friday’s protest, one woman was told by local police not to accept interview requests, “especially by the foreign media,” according to the Times. Meanwhile, few arrests have been made. 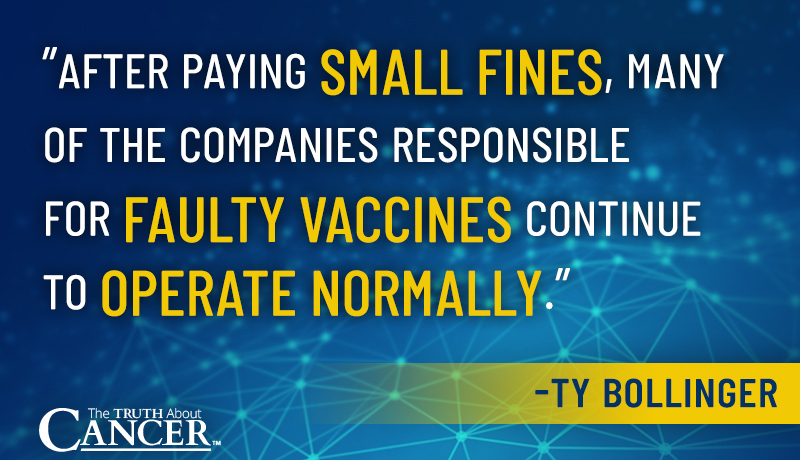 After paying small fines, many of the companies responsible for faulty vaccines continue to operate normally. There is also concern that government officials are involved in the vaccine scandal, and that their failure to accurately monitor and label the vaccines have been due to influence from manufacturers. Many parents say that their children have suffered similar side effects (fever, rashes, and vomiting)to children who received the expired vaccines and believe that faulty vaccines have been administered for over a decade. The state-run system for providing vaccine information has not provided information to parents who are concerned that their children may have received dangerous or ineffective vaccines. The issue of deceitful corporations and corrupt government officials is extensive, and the vaccine scandal is not an anomaly. In 2008, over 300,000 children got sick and 6 died after drinking milk powder contaminated with melamine, a toxic chemical. A year earlier, it had been discovered that China was exporting several contaminated products. Fish, toothpaste, and toys were found to contain illegal drugs, cough syrup, and lead paint, respectively. Greed is not an exclusively American evil. Corporations all over the world will put cash before consumers whenever they can. Safety officials and politicians are easily influenced by lobbyists and special interest groups. Public policy is not dictated by the will of the people, but by the companies who shell out the most money. It is extremely important that we take a careful look at everything that we put in and on our bodies. If you don’t know what’s in your food, medicine, cosmetics, or cleaning supplies, it becomes impossible to make an informed decision for you and your family. We need to hold corporations and government officials accountable. What’s happening to China’s food and drug industries could very well happen here – it may be already. Violent protests erupted in China after 145 children received expired polio vaccines. This is just another chapter in China's ongoing vaccine scandal. It’s not vaccines that are the problem, it’s the humans that administer causing the problems. If organic certification was administered the same way, you could write an article about the dangers of organic food. Forrest Maready refers to vaccines as “Genetically Modified Disease”. He calls them that because we are exposing the body to modified diseases not found in nature, in disease combinations we are not exposed to in nature, and presenting them to the body in a way the body is not exposed to them in nature, and for good measure we add a mix of toxic and mostly untested adjuvants and preservatives. The ironic thing is that we think we know how this experiment is going to end and that the outcome will only be good. Are the actual vaccine antigens a problem even without the additives and preservatives? I would argue they are because we are exposing the body to multiple antigens or even live pathogens that interact in ways such as insertional mutagenesis. I would also argue that you are forgetting about the issues of foreign DNA contamination, retrovirus contamination, and growth medium contamination. The problem with using the antigen without hyper stimulating your immune system is that it doesn’t work to create immunity by the (false?) metric we measure it, namely antigen production. I totally get the attraction to the idea that humans can be disease free, but unfortunately it is a myth. Our body needs the immune system training that these normal childhood diseases used to provide it with. There are also benefits to diseases that have been discovered such as the mumps virus creating resistance to certain cancers later in life. I agree. This generation of young parents have my sympathy, when my children were young and I subjected them to the hype of the AMA, there was a different degree of greed. Some of the research and development scientists genuinely wanted to stem diseases and make a name for themselves; these modern folks only care that there sponsors are pleased with the piles of cash that they rale.in. God help the families. Thanks to all who shout the warnings! Is there a way you could add a couple of features to your comment box menu? Please add a cancel button. Also, when the comment is submitted, please show it in its proper place and show it in a different color and marked as pending. This will allow me to see if I submitted my comment properly and prevent me from resubmitting it because I don’t know if it was done correctly. This is not surprising. In any government, those with power, eg. money, will bribe those who govern or control the people, to use their authority to facilitate ever increasing profit for those who buy this influence. It doesn’t matter what form of government. Even Communism and Socialism produce an elite group at the top who live comfortably and lavishly compared to “the people” they pretend to fairly govern. That is because “Communism” and “Socialism” were designed by the elite to provide sources of social division and very effectively employed in that manner to instigate war … war is highly profitable to the elite. So they used the emotions evoked by ideologies opposing the staus quo to stir millions of people and foment unrest, deliberately setting one group against another, creating distraction, fear, confusion and chaos in the masses. Exactly what they wanted to achieve. I would recommend also you investigate MMS. At first considered to be a fraudulent treatment by the Pharmaceutical Industry, it’s now certified in the EU. Several examples of successes are being recorded and I know some of the cases myself. Keep up the Great work TY!! Thank you so much for your support, Florence! Ty, I read almost every email that I receive from you and Charlene , especially the ones on vaccines.. Approximately 12 years ago, my niece took her son to the doctor to get his immunization shots. My nephew was past due for some of his vaccination shots and due for others… My niece questioned the nurse (& doctor) who administered the vaccination shots, but was told that it was not unusual for them to administered present and past vaccination shots during the same visit, & it was in fact safe… So, they did inject my nephew with a series of vaccinations shots that were due & the ones that were past due… Within time, my nephew was diagnosed with autism…To this day, every time I’m around my nephew, my heart breaks into a million pieces… Thankfully, he has loving, supportive parents and is constantly surrounded by people & relatives who dearly love him…. This is absolutely heart-wrenching. We’re SO sorry to hear your nephew went through this. Please know that we’ll be sure to keep him in our prayers. We’re so humbled and blessed to have your support. It means the world to us. Not sure re the Potassium Ascorbate. The neutral Vit C is normally Sodium Ascorbate since it is not acidic like the foul tasting Calcium Ascorbate that also has negative effects for circulatory issues. Thank you for all of the work you do to inform the public. I, like most Americans, know so many people (especially seniors) who are on tons of medication. Is there a way that you and your team can find Doctors and other health practitioners (from allopathic to naturapathic) who are willing to help people wean off of these horrible medications. We need some loving allopaths who can monitor the situations. I think this would be another great docu series. If people could see others who have come off these drugs and are doing better they will believe that they can do it too. We’ll, thanks again. TTAC was such a revelation for me. I try to inform my family and friends as much as I can. Note to Peter Murphy regarding skin cancer: Check out the American Indian cancer remedy, chaparral. I know it has been used for skin cancer. Some people think it tastes too terrible to drink, but I’ve actually developed a taste for it. Any good health food store should have it. One can gets capsules; I prefer to make tea. I’ve never had cancer; however, my mother was diagnosed with ovarian cancer in 1970. She had surgery and cobalt treatments (which made her very sick and which she never finished) Later, she took huge chaparral tablets for decades. She called them her “horse pills.” Her doctor in 1977 had told her he considered it a miracle she’d done so well. She ended up living about 44 years after her cancer experience–so, at the least, the chaparral must not have hurt her! Plus, she was conscious of, and careful of, common sense health habits like avoiding processed foods, eating raw foods and salads, etc. There is a lot of good info on the internet and one of the best collections is “The Truth About Cancer.” Mom’s parents, organic farmers near Newberg, Oregon, who didn’t have a lot of money, gave her a second-hand Norwalk juicer after her cancer diagnosis. Those juicers are rather expensive when new. As far as I know, Mom never really got in to using that. However, tasting carrot juice made with a Norwalk juicer is something every person interested in great health ought to experience. It is heavenly, I think. I’ve read several accounts of carrot juice doing amazing things for cancer patients. Plus, I know a person with serious heart disease who has found that Norwalk carrot juice and/or carrot juice mixes with some cucumber, celery, or apple, seems to be a very effective diuretic, and much safer than the prescriptions. Thank you ty for what you’re doing, bringing all to on open. Ty, You used the phrase “poor safety testing”. On the recent Highwire show, Del Bigtree showed that there has NEVER been proper testing of any vaccine using an inert placebo for the control. They only tested against another vaccine with a presumed “known safety profile” but, as Del shows those vaccines also had never been tested against an inert placebo for the control.